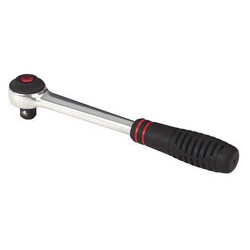 Wholesale Trader of a wide range of products which include ratcheting wrenches. According to the needs and demands of our clients, we are engaged in offering a wide range of Ratcheting Wrenches. Low maintenance, different sizes and high quality are considered as some of the main specifications of these wrenches. These products are available in varied sizes, thickness and specifications as per the needs of our clients.